June Evelyn Douglass was born May 5, 1931, to Walter and Mabel Douglass in Beatrice, Nebraska. She grew up in Chanute and graduated from Chanute High School where she met and married her first husband, Richard Byers. They had one son. After her husband passed away in 1958, she attended Wichita Business College. She then met Albert T. Webb of El Dorado and they were married on April 4, 1959, in Wichita, Kansas while they were both attending college. They moved back to El Dorado in 1959, where June was a wonderful homemaker for her husband and children. They celebrated 60 loving years of marriage on April 4, 2019. Religion was important to June, and she was baptized as a Jehovah’s Witness at the El Dorado Kingdom Hall on November 16, 1975. She was a self-taught master crochet artist, creating hundreds of beautiful pieces. She enjoyed reading her Bible and watching TV shows such as Dateline, 48 Hours, 20/20 and Perry Mason. She was also an avid collector of bric-a-brac and enjoyed listening to musical compositions by Yanni. Her loving family includes her husband, Albert “Al” Webb of El Dorado; children, Richard “Rick” Byers of Kennesaw, Georgia, Sharon Phillips of Cottonwood, California, Michele Tucker (Curt) of El Dorado and Lance Webb of Farmington, Michigan; grandchildren, Logan Tucker, Amber Tucker and Sean Phillips. She was preceded in death by her parents, one brother and one sister. 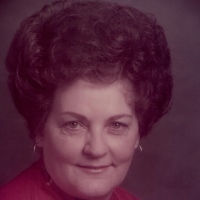 June passed away peacefully at Lakepoint of Augusta on Friday, April 12, 2019, having reached the age of 87 years old.